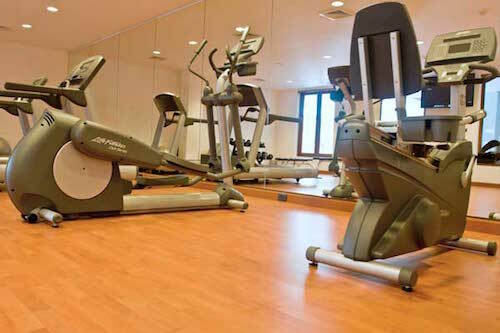 Our modern air-conditioned fitness centre offers modern computer controlled cardio-vascular equipment including treadmills, an elliptical trainer and upright bicycle as well as multi-station free weights. Open daily from 7.00 am – 10.00 pm. 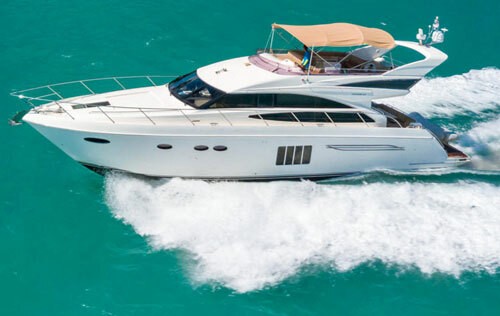 Oceana Samui Charters are a refreshingly dynamic Private Speedboat Charter company providing luxury boating excursions aboard a hand-picked selection of Koh Samui’s most prized vessels. Wether you are searching for adventure, a day of relaxed cruising or a planned celebration amongst friends, our range of Private Yachts, Catamarans, Speedboats and Jet Skis ensure that your interests are always catered for. 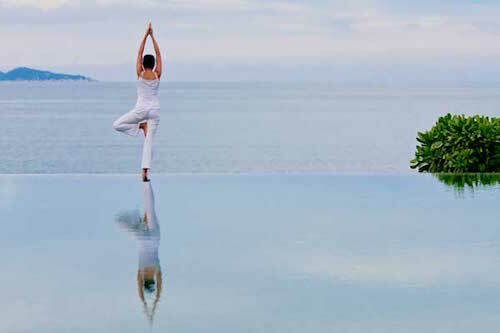 With over ten years experience in the Gulf of Thailand alone and partnerships with many of Koh Samui’s Five Star resorts (office based at Conrad Koh Samui) we guarantee knowledgable recommendations/trip planning, 100% safety at all times as well as luxury hospitality, worthy of the private vessels that we have to offer. 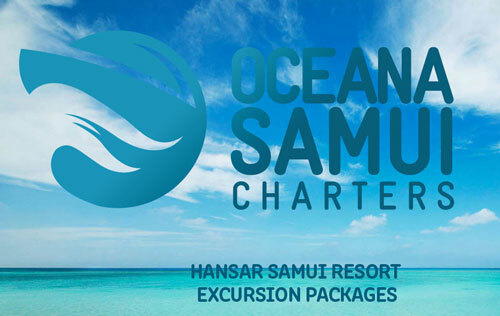 HANSAR SAMUI makes comparing, booking and managing private yacht charters easier than ever before. Access to Profressionals 24H / 7 Days with Human Contact preserved. Quality Label & Large choice with myba & mca standards. Price match guarantee with instant quotation. Vegetable and Fruit craving classes are available on Tuesdays and Saturdays. 60 minutes session, minimum age 12 year olds, start from 13.00 pm - 02.00 pm at H Bistro. The group classes with maximum 3 people are priced at Baht 450 per person. 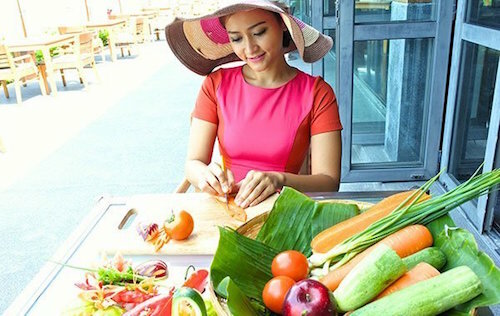 The private classes are priced at Baht 800 per class, plus applicable government taxes and service charge. Reservation for any other day can be made and one-day advance reservation is required. 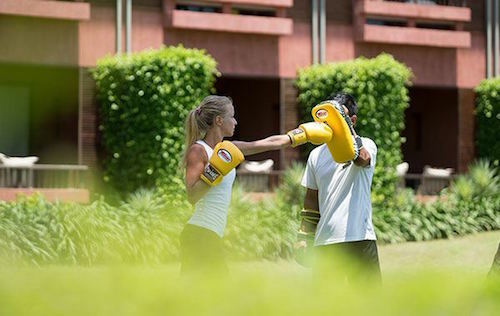 Muay Thai or Thai Boxing classes are available on Wednesdays, Thursdays and Saturdays. 60 minutes session ,minimum age 7 years old, Muay Thai class start from 03.00 pm - 04.00 pm at the hotel front yard. 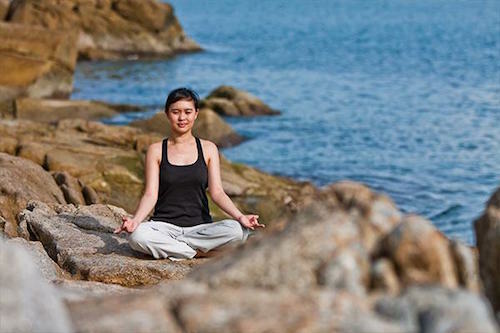 The group classes with maximum 2 people are priced at Baht 450 per person. The private classes are priced at 1,000 per person, plus applicable government taxes and service charge. The price is inclusive of drinking water, fresh fruits and Muay Thai equipments. Complimentary Meditation classes, minimum age 12 years old, are available on Mondays and Fridays. 60 minutes session start from 10.00am – 11.00am at AZURE meeting room. 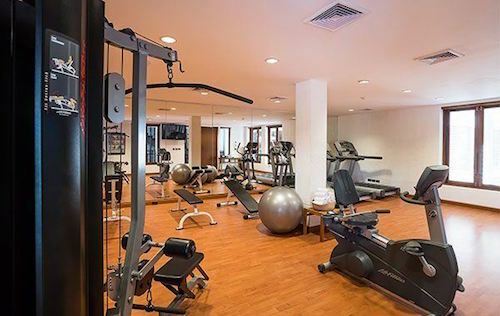 The private classes are priced at Baht 800 per class, plus applicable government taxes and service charge. The price is inclusive of drinking water and mat. Bike Venture is available on Tuesdays and Thursdays. 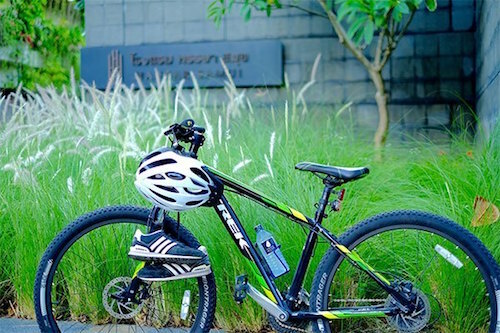 Bike arrangement is available at Baht 200 per person. 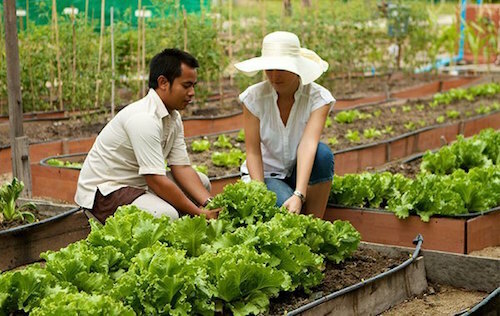 Join our Community Social Responsibility program by sharing your hope with ‘Plant Your Seeds’ activities at Hansar Organic Garden. 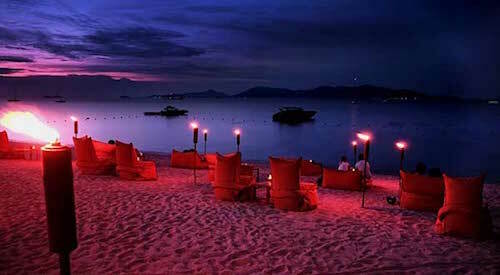 The activity is priced at Baht 750 per person. The price is inclusive of hand gloves, drinking water and ‘Share Your Hope’ t-shirt. Doll painting is available daily. 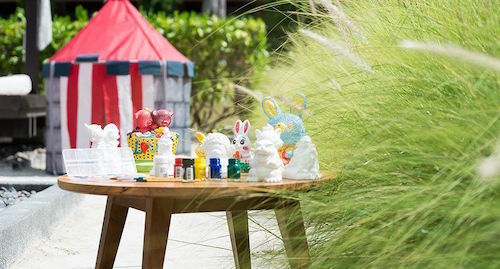 The price is at Baht 150 inclusive of 3 plaster dolls per person. 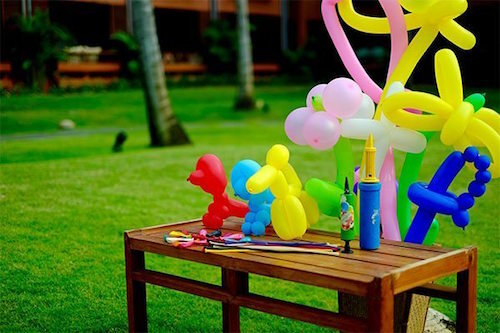 Complimentary Balloon Twist is available upon your request. 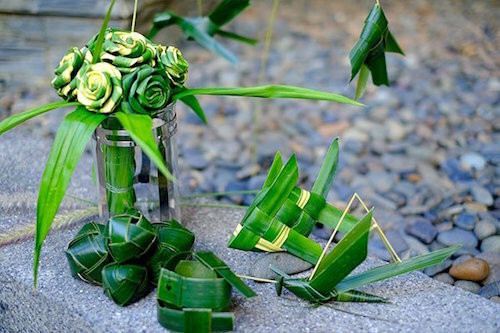 Complimentary Thai Leaf Origami classes are available on Mondays and Fridays. Complimentary Movie under the Stars is available on Mondays, Wednesdays and Saturdays. 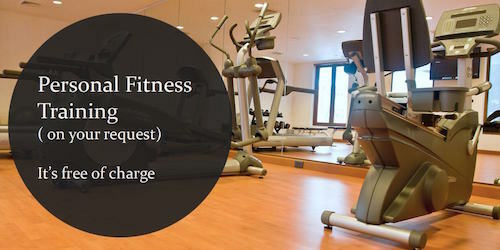 Complimentary Personal Fitness Training is available upon your request. One-day advance reservation is required. 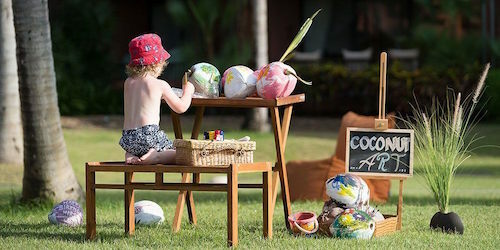 Complimentary Coconut Painting is available on Tuesdays from 01.00pm. Monk offerings are available on Tuesdays and Thursdays. The group to join the activity, with maximum 4 people, is priced at 800 per group, plus applicable government taxes and service charge.